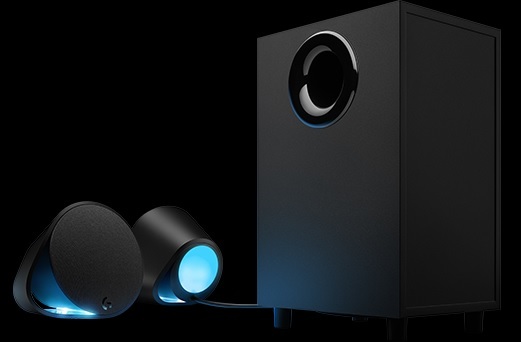 Logitech’s G560 are the company’s first set of gaming-specific speakers, with custom RGB lighting that syncs with your games to increase your immersion. When you can get the features to work, you have a set of speakers that both look and sound fantastic. 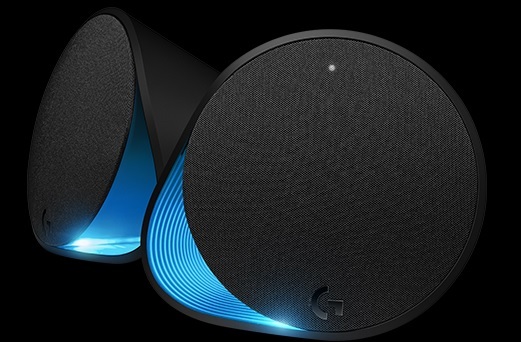 The G560 set comes with two satellite speakers and a subwoofer. They work in both wired and Bluetooth configuration, and the satellite speakers have manual controls. If used purely as speakers, the G560 measures up. The sound is clean and the bass isn’t overwhelming. I’m not as much of an audiophile as my colleague Napier Lopez, but I found the speakers more than satisfactory for blasting the Black Panther soundtrack. 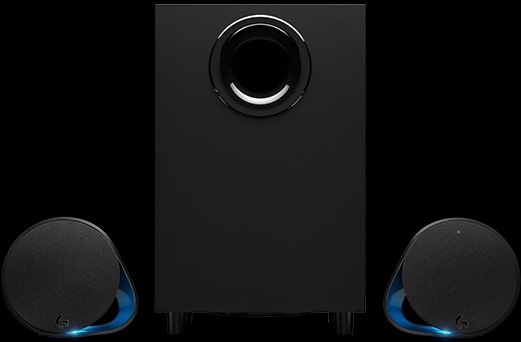 But since the G560 is a set of gaming speakers, then it stands to reason one would test them while gaming. So for the last month, I’ve done just that. I’ve been in a first-person shooter mood during that time, so the primary games I’ve tested it with are Overwatch and Far Cry 5, with a bit of Battlefield One and Assassin’s Creed Origins thrown in there for good measure. As far as the sound in-game goes, the G560 does a fantastic job of communicating space and distance. Overwatch is a good example: playing the game with these speakers positioned properly on your desk — which took a bit of trial and error, admittedly — you can tell when a Tracer is trying to flank you, and where Torbjörn is setting up his turret around the corner. I was even able to catch an eagle swooping down on my head in Far Cry 5 thanks to these speakers. But the speakers have a more obvious aesthetic appeal: the customizable RBG lighting, separated into four zones on the front and back. The lights are bright enough to fill any gaming space, with the back-facing speakers filling a whole wall with colors. The RGB lighting isn’t just another piece of gaming flashiness, either. It’s intended to be used in conjunction with Logitech’s Lightsync, which lets you sync the effects with certain games. This isn’t immediately apparent, as the software doesn’t come with the speakers — or at least, it didn’t for me. You have to download it from Logitech’s website. When it works, and if you’re playing one of the games which works with Lightsync and has game-driven lighting — which, admittedly, is a short list, but includes GTA V, Fortnite, and Battlefield One — your gaming center will light up with colors that compliment what your in-game character is doing. If you’re not playing one of those games, you can still customize your lighting with Logitech’s gaming software, either by customizing specific zones, or by syncing each zone with certain parts of your screen so they match the most active color in that zone. The latter works best with a symmetrical setup where you speakers are far enough removed from the sides of the screen that the color can fill your space properly. Still, for something that’s supposedly so integral to the speakers in question, it’s unintuitive and difficult to make work properly. I had to fiddle with the gaming software for a long time to find the colors that worked for me. In fact, if you don’t have one of the games that uses game-driven lighting, I’d say Lightsync is much more useful for those with Logitech keyboards, like the G513 Tristan reviewed a few weeks ago. Also, while this isn’t a big problem per se, the subwoofer is a little on the large side for my tastes. If you have a small gaming setup, as I do, then the subwoofer is either an ottoman or one heckuva paperweight. But these are relatively minor complaints compared with the overall quality of the speakers. If you’re a gamer and can afford the $199 price point, they make a fantastic addition to a PC gaming rig.